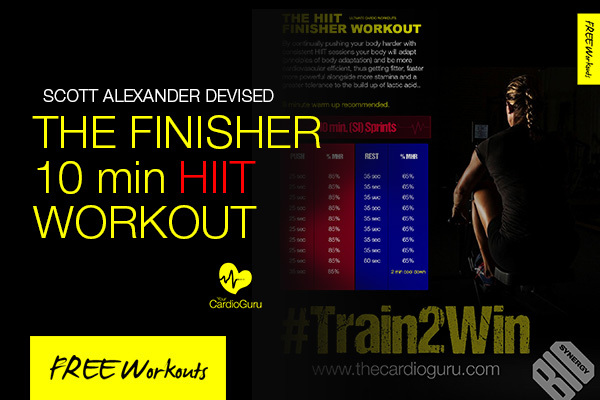 Free training downloads personally devised by Scott Alexander to give you results. I want you to succeed. By following my proven protocols and workouts included here for free, you will be training to the very same workouts I challenge my celebrity and elite clients against. 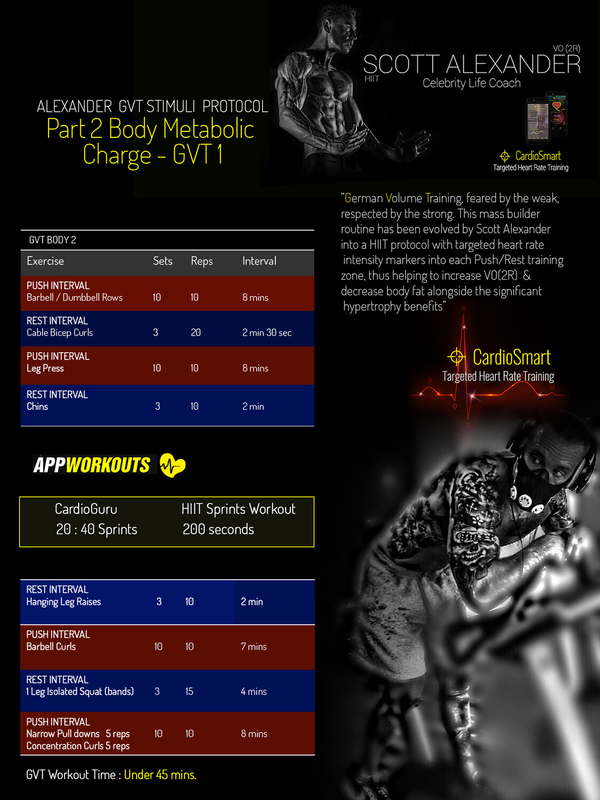 Many of these workouts can be found on my Fitness App "Your CardioGuru" which offers real time coaching alongside the worlds most advanced approach to adaptive, cardio smart software. 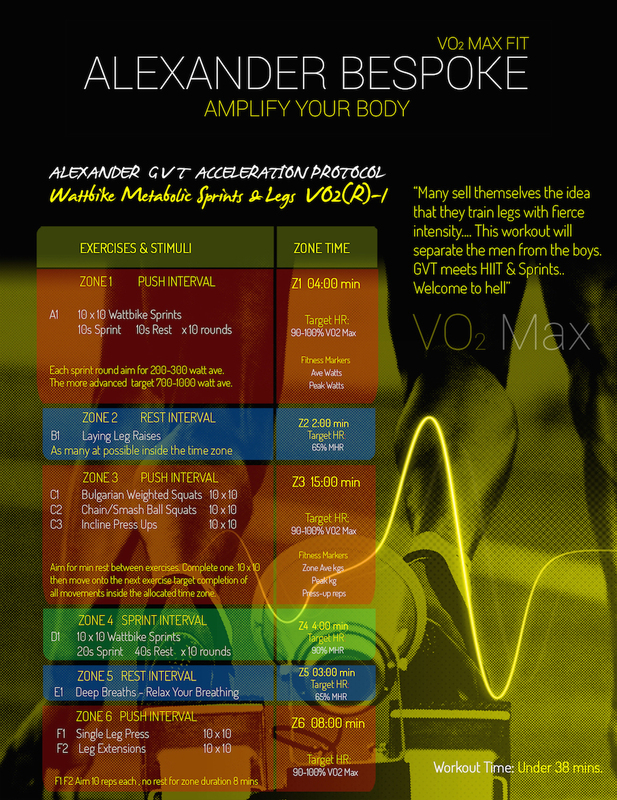 I have broken down the workouts into HIIT - VO2 Fitness - FatMax and GVT/EDT protocols.